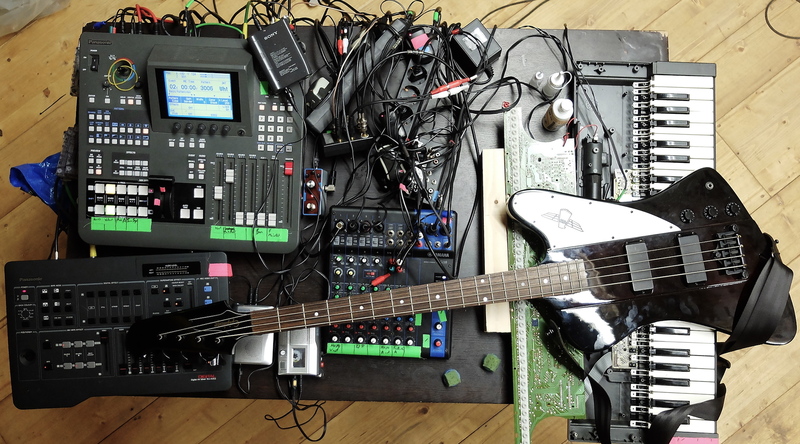 Designing musical patterns for media art tools, installation and performance is often a challenge, especially for media-art artists at the intersection of technology and performance. Simple approaches from conventional music and free improvisation can create a cross-benefit and help to create a condensed musical and sonic presentation. Open source tools such as SuperCollider or electronic circuits can be used not only for the conceptual compression of sound, but also for the deliberate organization of sound and sound events. In this workshop, easily accessible organisational means, documentation strategies and basic structures of music are presented, with which a quick access to finished pieces can be achieved. On the basis of experiments with Supercollider or PD we will discuss and learn the principles of rapid song prototyping. Musical tools, e.g. Laptop with SuperCollider or PD. - analog synthesizers, effects, circuits etc.